Please note the types of cameras we recycle below; the available rebate and packaging may vary from camera to camera. Follow the 4 Easy Steps below to receive a rebate for your used Single-Use Digital Camera. 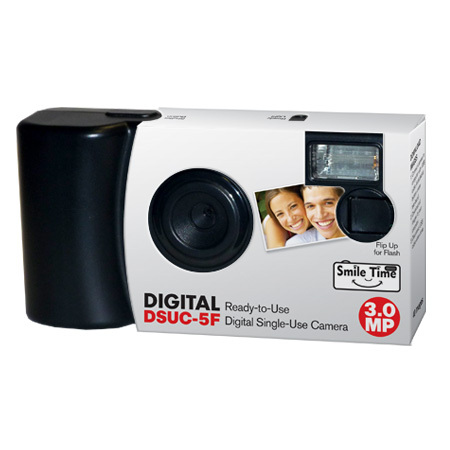 DSUC-5F Single-Use Digital Camera - Packaging may vary. Enclose your Single-Use Digital Camera and completed Form. 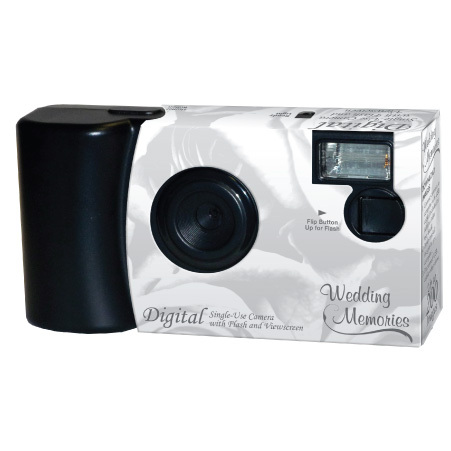 Place 5 stamps on envelope, seal and send us your used Single-Use Digital Camera. 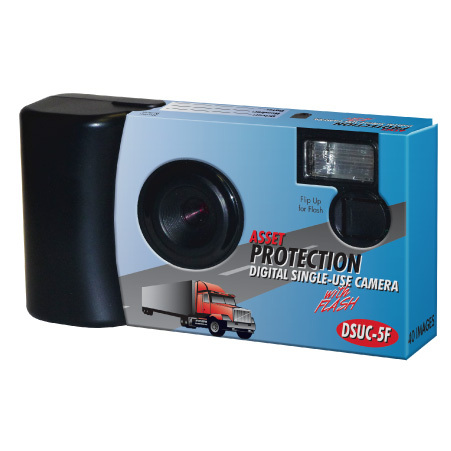 Receive $5.00 back based on your camera model (see above for accepted cameras). Please allow up to 14-21 days to receive your rebate. Please allow 14-21 days for your rebate or use credit on future orders. Offer open only to residents of the United States, including APO/FPO addresses. A UPS Return Label will be emailed to you by the end of the working day. Fix the UPS label to the top of the box and give to your UPS route driver for delivery to IIC Inc.
Single-Use Digital Recycling reserves the right to change the terms and conditions of the SINGLE-USE DIGITAL RECYCLING PROGRAM at any time.